Whiskeymarie: Something completely unplanned and unwanted, much like that one cousin of yours. Something completely unplanned and unwanted, much like that one cousin of yours. 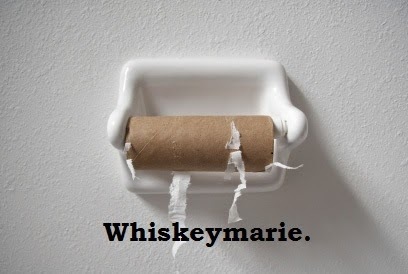 So sorry if you missed the fantastical tale of how Whiskeymarie.com was hijacked by corporate terrorists, ripped from my bosom and thrust into the uncaring hands of total strangers, but unless something significant happens in the next hour or so, this blog is no more. Oh, don't cry my little chickpea- I hate to see you all red-faced and snotty like that. Seriously- that's a good look for no one. How about instead you come to my new home? It's still under construction and completely inadequate right now, much like a FEMA trailer in New Orleans, but it is my new home nonetheless. 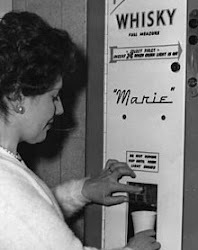 If you venture over to marietimesthree(dot)com, I'll do my best to make this a smooth transition for us all, even if I have to slip you a roofie or ply you with grain alcohol. (If that address is still in transition, e-mail me and I'll give you the info). Happy new blog, my faithful little nuggets of awesomeness. Happy new blog. Glad it's going to be 'times 3' now. Yipeee. Huh. You're still here . . .
Yeah, we (meaning me and the powers that be) seem to still be working this out. Yeah, we'll see if that one last speck of patience I have left will last long enough to care anymore once it is figured out.